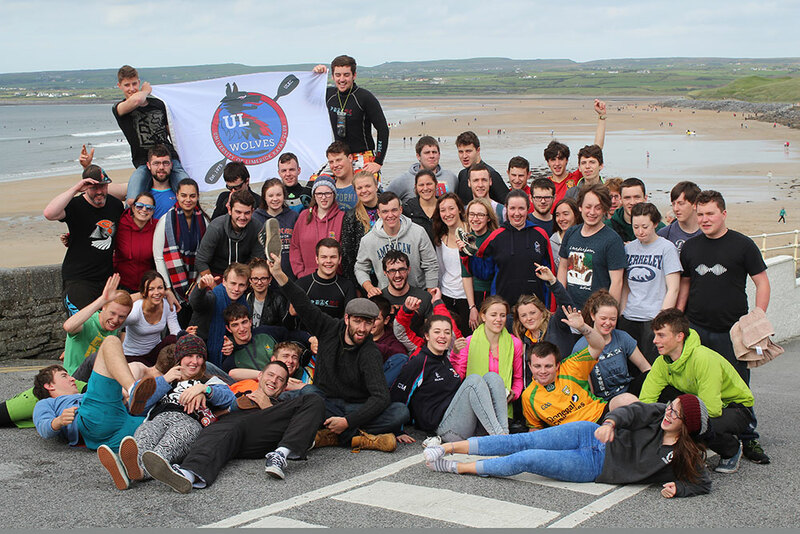 As the new semester begins, The University of Limerick Kayak Club is proud to welcome its newest members, and what a better way to introduce the newcomers to the spirit of ULKC than with a weekend of fun and adventure! On the 25th of September we set off on our annual trip to Lahinch, Co. Clare. The weekend proved to be a truly amazing experience for all. As we boarded the bus on Friday evening everyone was full of anticipation and eager to delve into all that the weekend had to offer. The journey was shortened by the angelic voices of all our members. Instruments were welcomed and we sang our hearts out for nearly the whole journey. To our amusement, amazement and possible distress, we attempted to recall the words of our favourite songs. Some eventually found their astounding lyrical prowess while others continued to squawk like crows! Upon arrival at the hostel everyone was eager to introduce themselves and integrate with the great atmosphere in the building that evening. The night was jam-packed full of craic with names repeated several times until they were remembered. The experience did bring about a warm sense of nostalgia among returning members. Arriving in Lahinch was quite a varied experience among the group, simply because of the fact that we all had different expectations regarding how the weekend would progress, but regardless of that we knew it was going to be memorable. By Saturday morning everybody was more or less settled in and the main attraction of the trip was on the agenda, the surf! Soon everyone was fed, geared up, and rearing to go. We got into our kayaks, and after a prolonged struggle to shimmy off the sand everyone was tackling or being tackled by the waves that Lahinch had to offer. Being met with relatively calm waves at the offset, which were perfect for the beginners, it was a great pleasure to see the swell pick up and get some purely enjoyable kayak surfing for the more experienced members. When everyone got a chance to paddle, it allowed for a perfect display of the varying skill levels present in our club and also allowed everyone new to kayaking to gauge the extent of their own ability on waters that are a step up from the pool and it was wonderful seeing everyone improve as the weekend progressed. Apart from kayaking, the trip was spent enjoying the weekend as a club, relaxing and getting to know each other in the hostel, cheering for our favourite rugby team, or even dressing up as ridiculously as possible and going out to tear up the dance floor in the local club. We all have slightly different memories from the trip, but I know everyone will remember Lahinch fondly and will be looking forward to our next trip. We had a whole load of fun and made a vast amount of tremendous (and somewhat blurry!) memories! The journey was a lot more relaxed as we made our way home on Sunday evening, allowing everyone to lean back and take in all they had experienced over the weekend. The trip was concluded with a mass clean-up of all the gear and everyone went home for a well deserved, and probably long awaited, good night’s sleep! It was an absolutely remarkable weekend! We hope that you all had an amazing fun journey and we can’t wait to see all of you on our next outing! Tuesday the 8th September marked the beginning of what will be another kayaking filled year here at ULKC with all the new kayakers hopping into the pool to kick things off to a good start. With a paddle in hand and a wobbly boat, these are the first steps to becoming a world class kayaker. Eager new members tearing off on the water getting to know the ins and outs of how to paddle while at the same time avoiding the 60 other kayakers paddling around them. For the people who didn’t get into a kayak we had nearly two full teams of water polo having a laugh waiting to swap over and try out the kayaks. The looks of awe could be read on the faces of the new paddlers of ULKC as some of the older members decided to show off what a kayak could really do; loops in the air and all sorts of acrobatics were demonstrated. 11:00pm finally came and it was time to get out of the pool. However, all was not yet finished. Afterwards we gathered our gear up and headed down to the Scholars Bar to welcome the new members of the club. Wednesday night could not have come any sooner. We were all back charging on down to the pool area to get ready for another exciting night of kayaking. This time everyone was ready. Sixty odd paddlers raced on down to get into their desired kayak to take on another paddle filled hour of kayaking. You could feel the ULKC spirit as you walked in on everyone having fun in the pool, excited to be back again. The ULKC members showed off the different disciplines of the club with freestyle and polo. Not many are aware of just how much of a team sport kayaking is. It takes agility and stamina to become the best, but Wednesday night was all just a bit of banter. Once the clock ran out, we all got dressed and headed to Scholars Bar to reminisce on what we had all done so far. Many even surprised at how much they had developed in such a short time. Thursday night was no normal Thursday. Often ranked as one of the top nights of the year in Costello’s Bar/Nightclub. 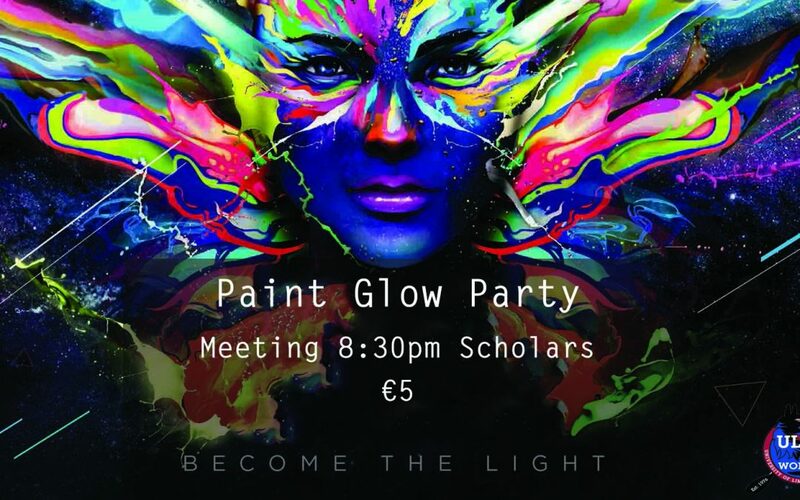 The ultimate trifecta of ULKC, UL Surf Club and UL Outdoor Pursuits armed with all our fresher’s, we headed on out from Scholars Bar into town to participate in a night not to forget. The dancefloor was hardly seen over the amount of club members taking it over. Mosh pits, awkward dance-offs, you name it, we had it all! Only to be walking into college the next day like zombies waiting ‘till the next kayaking session on Tuesday. This week was only a small sample of what is to come.